The 2017 Falls Festival sideshows are here and organisers are rolling out a whole bucketful of them, predominantly in Sydney and Melbourne. 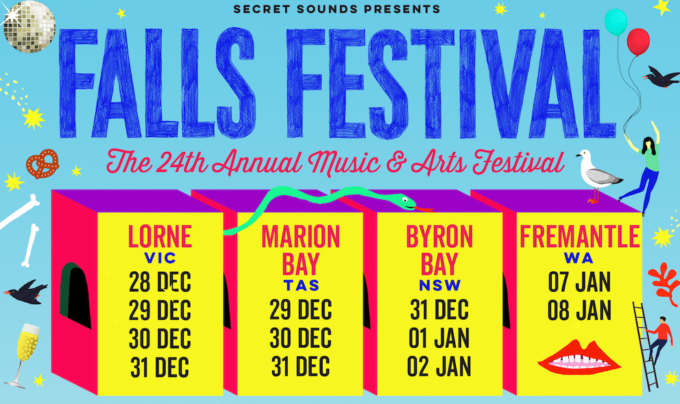 The Avalanches, Jamie T, Grouplove, Catfish & The Bottlemen, Modern Baseball, AlunaGeorge and Lemaitre have all confirmed extra touring commitments while they’re in the country for their respective Falls Festival appearances early in the new year. The Avalanches are set to play Sydney, Melbourne and Adelaide in addition to their Falls commitments, with Grandmaster Flash playing support in Sydney and Melbourne and Bad//Dreems in Adelaide. AlunaGeorge are only dropping the one sideshow… at the Corner Hotel in Melbourne on January 06. Grouplove will play both Sydney and Melbourne within the first six days of 2017 and MØ, Jamie T, Catfish And The Bottlemen, Modern Baseball, RY X and Lemaitre will do the same. General public tickets for all shows are on sale from 9am on Friday September 23.